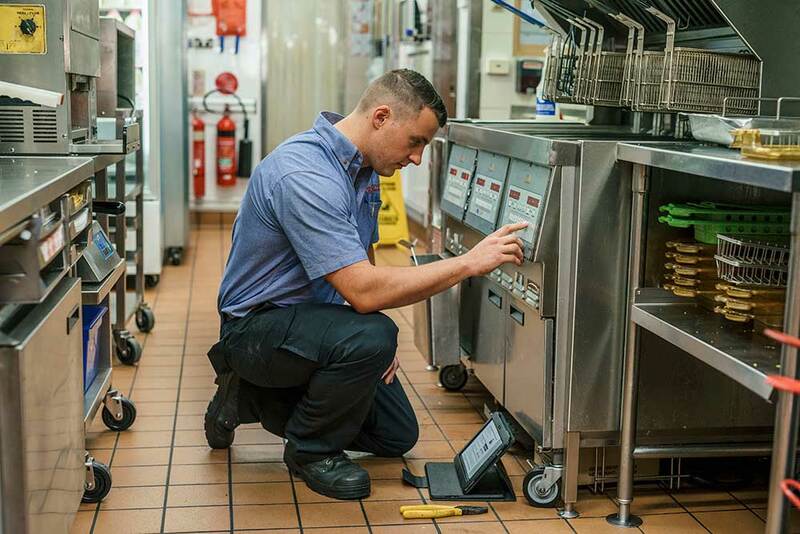 Serve Tech is one of the leading providers of service and repairs to the food service industry within the Hunter Valley, Newcastle and Central Coast Regions. We provide general electrical works, comprehensive electrical inspections, preventative maintenance service and all types of repairs to food and catering equipment. For over 22 years, Serve Tech has been there for its clients, with fully qualified and licensed electrical and refrigeration technicians specialising in food and catering equipment. We provide 24 hour on site service, phone support and detailed reporting history for each client. We conduct comprehensive tag and test electrical inspections as well as switchboard inspections and emergency lighting certification. Scheduled preventative maintenance services are also carried out on all types of equipment. We maintain a full service and maintenance history on each individual piece of equipment as part of our service. We offer to all our clients 24 hour phone support service to help through times of emergency or for general fault finding assistance. Our service is manned by qualified technicians at all times, giving you expert advice. The use of the Serve Tech phone support service allows clients to promptly repair faults or manage a situation until a Serve Tech technician arrives on site. Our phone support service is totally free of any charges to regular clientele. Serve Tech offers their clients a number of different reports to assist them in the management of their business. Reports can assist with budgeting, equipment history, parts history and job history. These reports are available upon request and at times can be tailored to the client’s requirements. No job is too big or too small for our service team. We provide a 24hr breakdown service on all types of food and catering equipment as well as general electrical works. Electrical inspections are required under the Australian Wiring Standards AS3760:2010. Call to arrange your Comprehensive Electrical Inspection. Regular maintenance aids in the longevity of equipment and it assists in limiting breakdowns. Call to arrange Scheduled Preventative Maintenance. Serve Tech provide professional 24 hour phone support to all our regular clients. Call to speak to one of our support team today. Serve Tech can provide their clients with numerous different reports to assist with the running of their business. Some of the equipment we service includes fryers, toasters, shake/sundae machines, coffee machines slushie equipment and refrigerated cabinets.